Good tackle shops typically have 300 to 500 rods on display, so it can be a daunting task when the casual angler goes looking for a rod-and-reel combo for the boat that will last yet not break the budget. 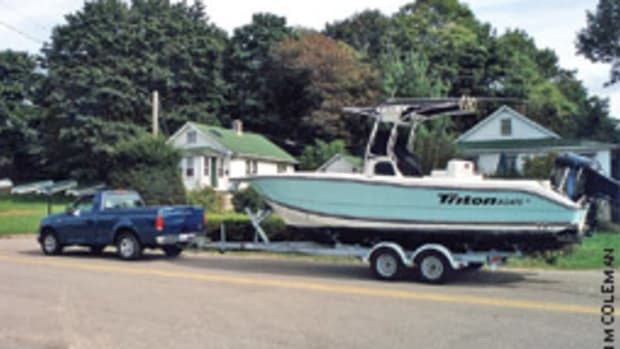 Here are two suggestions that will work not only in the Northeast, but also if you are taking your boat to Florida for the winter. My boss at Soundings wanted me to mention specific brands, not because we are affiliated in any way with these products, but because it’s easier to shop with model numbers in hand. 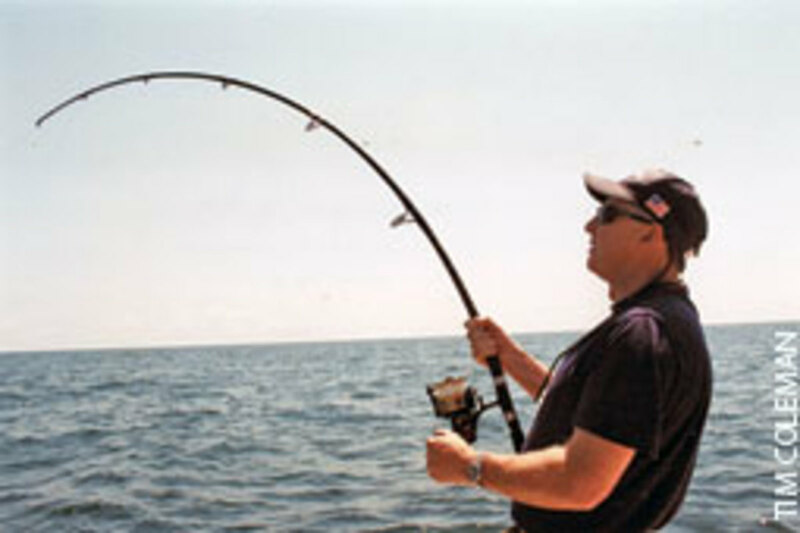 First is a Star DLX 12 (www.starrod.com), a spin rod rated for 12-pound mono or perhaps 20-pound braided line. (Braid is more expensive than mono but sets the hook better because of its lack of stretch.) Couple this with any of the following reels: the Pflueger President 6750 or President 6750XT (www.pfluegerfishing.com), Penn Spinfisher 550SSg (www.pennreels.com), or Shimano Spheros 5000 (www.shimano.com). 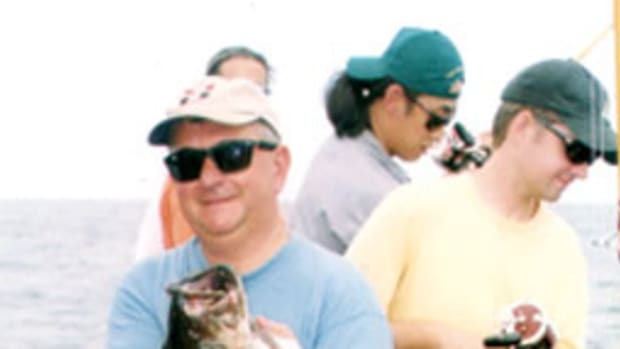 Expect to pay about $100 to $110, plus or minus, for the Star rod and $70 to $100 for the Pfluegers, around $100 for the Penn and $130 for the Shimano. Most are available from local shops, the Pflueger likely through mail order. I put the Pflueger in there because it’s a moderately priced reel that gives good service, this recommendation coming from hard-fishing Andy Gaugarin of Watch Hill, R.I. Andy loves to cast for striped bass and bluefish in the rips off Watch Hill Light, fishing extensively in his 26-foot Regulator from the end of May to the end of September. Then he packs up and heads to Florida to fish for tarpon out of his Southern boat, a 23-foot Contender. He says the Pflueger reels are one of the best values on the market today. These rod-and-reel combos offer lots of double-duty fishing. For instance, my good friend Capt. Pete Shea used the Star DLX 12 and Penn 550 for bottom fishing off the shallow reefs of his winter home on Geiger Key and the same rod to catch keeper striped bass from his dock at high water on a cove off the Annisquam River in Gloucester, Mass. When Pete goes down to work on his Northern boat, a 35-foot Mitchell Cove, he often drops a chunk of fresh herring over the side while he works, watching the rod for any sign of a striped bass dinner. Folks who take their boats cruising in Florida might want to have this rig on board. 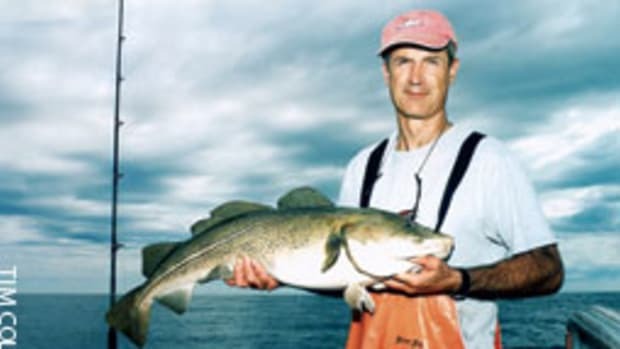 If you find a school of jacks chasing bait some morning in your anchorage, break out the rod and toss the same popper used for striped bass at them, then hang on. Jack crevalles are hard-fighting critters that don’t give up. They have no food value but are a great sport fish, adding to the excitement of your Florida adventure, especially since they can grow to 40 pounds. 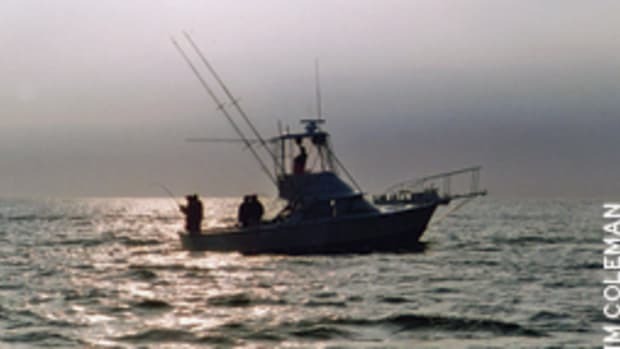 Back home, the same rod can be put to use if, say, you anchor on the north side of Napatree Point, R.I., a popular anchorage for transients from May through October. You may awake some morning to the terns wheeling and diving, chasing bait driven to the top by striped bass out for breakfast. Sometimes they are close enough to cast right from the boat, or you might have to hop in the dinghy to chase the schools using the kicker or ash breeze. 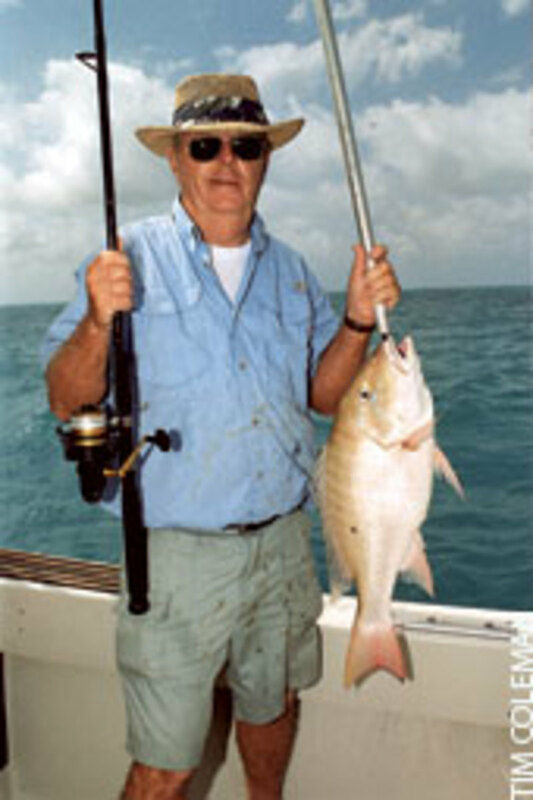 If you catch one that’s big enough, you have tonight’s dinner at the ready. The other rod I recommend is another Star, a brand readily available throughout the Northeast and well represented in Florida shops. It’s the DLX 33, also a spinning rod, though this one is meant for heavier use. Couple it with a Penn Spinfisher 950SSm. You can put either 30-pound mono on this reel or 30- to 50-pound braid. This outfit is more money, but it will be serviceable for many seasons. It’s not top-end fishing tackle, but it’s a good step above some of the entry-level models that won’t last long enough for my taste. Expect to pay around $300 for this one. With this outfit, we can do a lot of fishing. If you’re cruising Florida port to port, you can troll for dolphin with some of the ready-made rigs available in tackle stores. Those rigged with frozen ballyhoo, the prime bait, also are for sale at many locations. Directions on how to rig up are on the back of the inexpensive rigs, or perhaps the fellow in the shop might have time to show you how. Drop the rig back about 150 to 200 feet and troll along. Many places along the Florida coast are dotted with artificial reefs. If you have the time, motor out to one and drop a butterfly-style jig down and reel back. You might get a hit from an amberjack that can weigh 20 to 80-plus pounds. 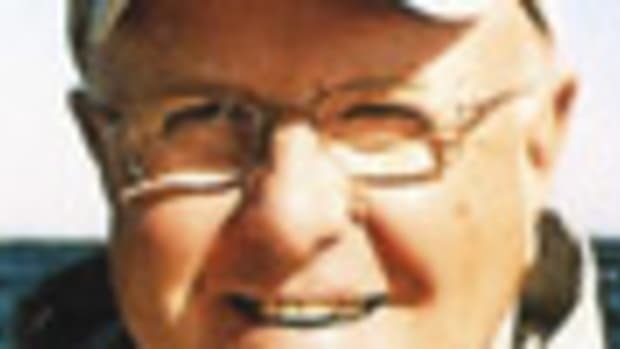 Last season, I was mate for my friend Pete Shea, who took many guests and their children out to the cruiser wreck off Maryland Shoal, where the fast action will take the kids’ minds off the video games they left on shore. The kids and adults caught numerous jacks on the DLX 33, up to a 70-pound monster landed by Pete and Eddie Mirack of Manchester, Mass. 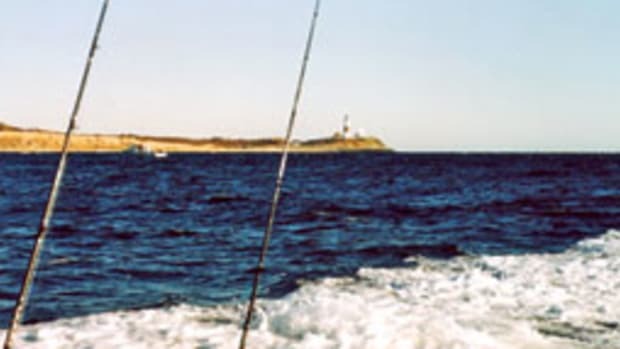 Back home, you can use the rod for chunking for striped bass. The heavy rod has the backbone to handle a large fish or a chunk of bunker or mackerel with enough weight to keep it on the bottom in a running tide. 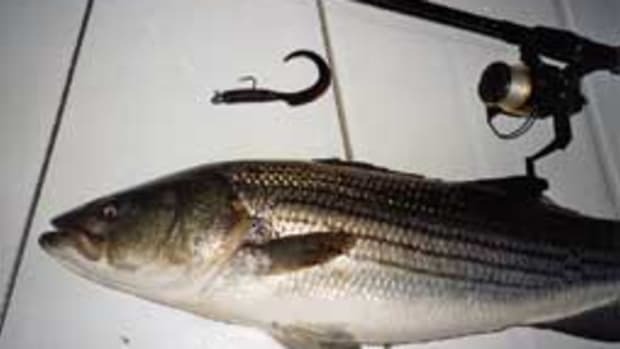 If you fish braid (it cuts through water better than mono), you can troll for striped bass with plugs that have large plastic lips that let them dive 30-plus feet. You can also have the rod rigged and ready with a butterfly-style jig if school tuna pop up around your boat outside Stellwagen Bank. Keep in mind that these might not be the ideal outfits for each and every type of fishing, but I’m trying to strike a compromise between price and utility, plus longer life for the average angler. And I also should mention they make great gifts for that someone on your short list. 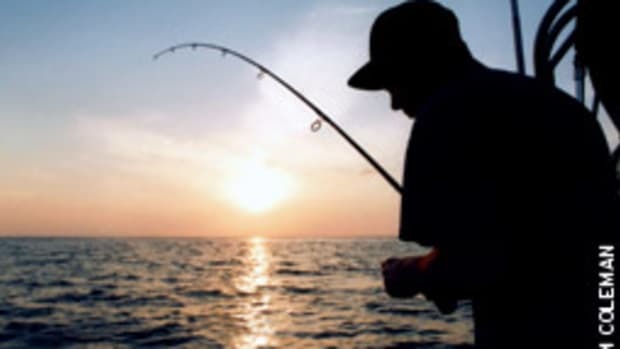 Enjoy the trip to Florida or spend time during the offseason getting your new rod and reel ready for spring.